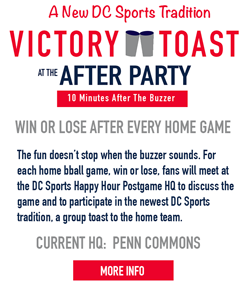 Wizards Happy Hour officially opened up the season the same way the Washington Wizards did; with a win! 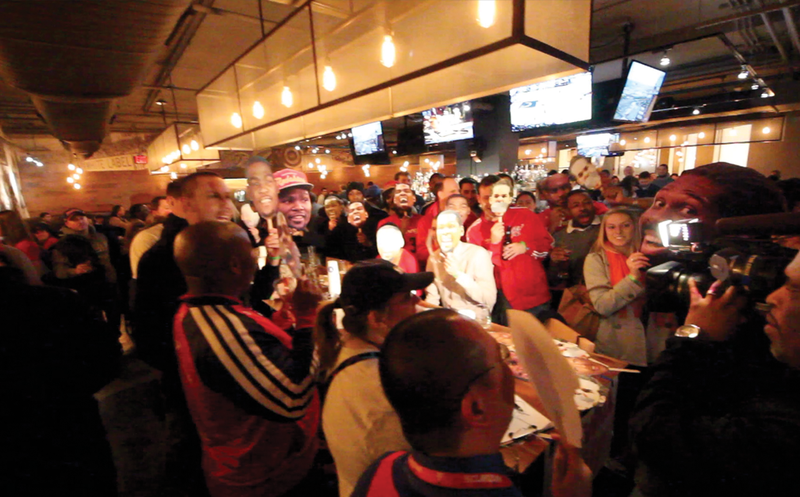 Our first event was a happy hour at RFD before the 2014-15 Washington Wizards home opener win against the Milwaukee Bucks (Photos). 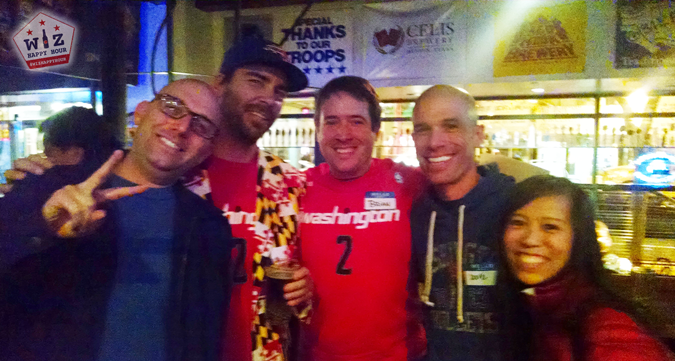 We ended up having a really fun time talking about the Wizards, discussing the future of Otto Porter, enjoying some delicious DC Brau beer, and talking with special guest Dan Steinberg of the Washington Post DC Sports Bog who joined us. 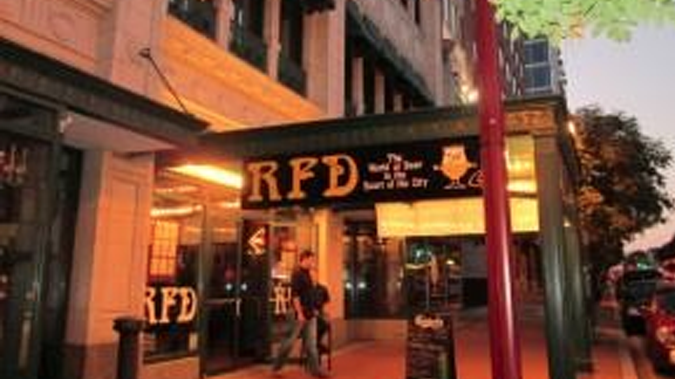 RFD (Regional Food & Drink) is a popular place to meet before events at Verizon Center due to it's large size, the number of TVs, and the most insane beer selection in the area and beyond. They currently have over 300 bottled beers to go along with 35 beers fresh on tap. Plus it is just down the street from Verizon Center, an easy walk to the game. The happy hour runs on weekdays from 3-7 but typically ends around 5pm on weekends, so we technically missed all the happy hour specials which rotate from day to day. However, that didn't stop everyone from partaking in delicious beers. 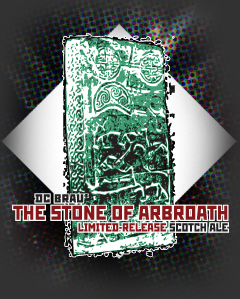 The #1 choice of the happy hour crew was the DC Brau The Stone Of Arbroath, a limited release scotch ale with an 8% alcohol content. Needless to say, people were having a good time and we may have cleaned out their entire supply. One member of the group successfully (sort of) recruited two girls to go to the game with him after offering to pay for their tickets. However, somehow on the walk to the arena, he lost one ticket. Instead of giving the two girls the tickets and figuring out his own way in, he took a ticket for himself and made the one girl figure it out on her own. It was pretty hilarious. 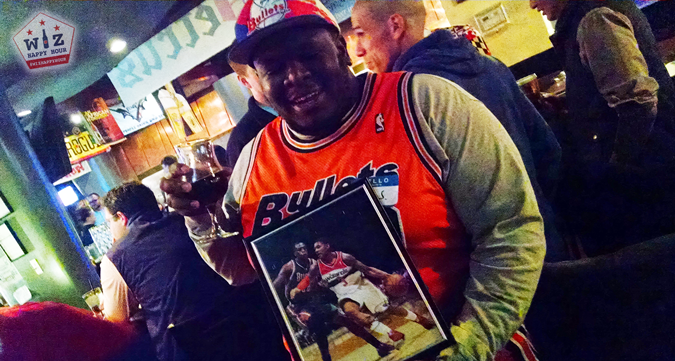 We also gave out our first prize of the year, a framed autographed Bradley Beal photograph. Congratulations to Tolu who took home this prize. The turnout for this opening happy hour was really great and everyone had a great time meeting new Wizards fans & friends. This was definitely a sign of things to come as the group grows and we continue to enjoy everything Chinatown has to offer. See you out there, and GO WIZ!